With Dark Knight Rises getting closer with every day, DC Comics is wisely reprinting the character’s first story arc, as well as his most notable, Knightfall. This volume reprints the landmark Knightfall storyline from 1993, in its entirety, the first time that DC has done so in one volume as opposed to two, as it did in the mid-90s. You can’t really beat this kind of value, as you get over 600 pages for just $34. This volume reads a lot better than one might expect, as it boasts strong writing and some great ideas which put Batman through the ultimate wringer. The early nineties weren’t full of a lot of good stories for characters like Batman and Superman, although there were definitely flashes of brilliance, and this storyline is an example of one of those flashes. 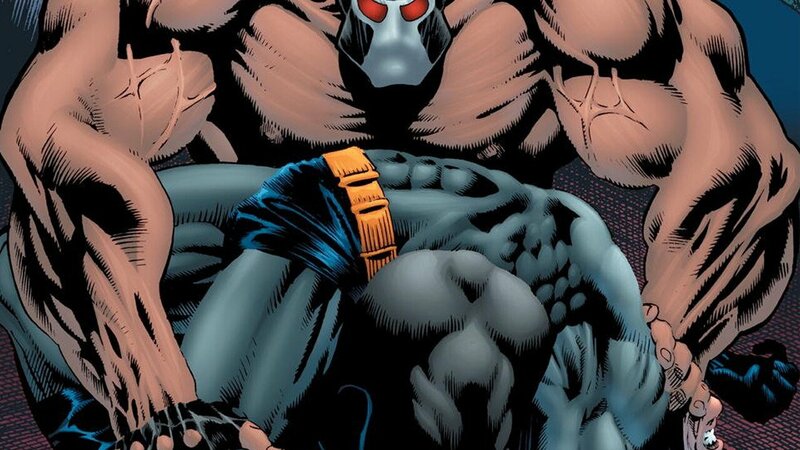 Bane comes to town, and decides to put Batman through the ultimate wringer, to wear him down, before he plans to take him on in person, so that he may break him. To do so, he stages a massive breakout at Arkham Asylum, loosing all of Gotham’s worst psychotics back onto the city, forcing Batman to push himself harder than ever before to try and protect his city. As he does so, Jean-Paul Valley trains with Robin, never realizing that soon he will be called upon to don the cape and cowl of Batman when Bruce Wayne is incapacitated. But Jean-Paul Valley is a deeply troubled individual, as a result of his upbringing, and as he pushes himself to be worthy of Bruce Wayne’s mantle, he becomes a Batman for the ‘90s. Although the writing is fairly strong and mature for the time period, the major downfall to this era of Batman comics is in the artwork. It’s fascinating to read this collection, because of how the artwork looks in this collection compared to comics published during this time period by Marvel Comics. The artwork is much more raw, lacking a certain polish, and as much as Aparo’s artwork has a classic look to it, it’s not always that smooth in its presentation. Graham Nolan’s artwork is a standout in this collection, of higher quality than that provided by Aparo. Aparo’s artwork lacks a certain tension, as well as a suitable darkness which is hard to put into words. The Arkham breakout should have been a really great artistic moment, but the actual artwork that depicts it is almost laughable. I’m impressed with DC for putting together such a large collection, I only wish that this volume had been able to do so without sacrificing paper quality in the collection. The paper used is standard paper, instead of glossy paper, which was used in their recent No Man’s Land trade paperbacks. The use of standard paper only serves to compound some of my issues with the artwork in the collection. But despite the lacklustre artwork and paper quality, this is still a good collection because of the extraordinary value in it, plus some really great stories which are told by the Batman writers of this era. It also provides a great introduction to Bane, in his purest form, and collects Batman: Vengeance of Bane Special #1 which had never before been bundled with reprint collections of Knightfall. It also provides a great introduction to Bane, in his purest form, and collects Batman: Vengeance of Bane Special #1 which had never before been bundled with reprint collections of Knightfall.